1.CSBs – Every county has a community service board. They’re not the best but if you don’t have insurance they can be a lifesaver. could do over, I would spent more time looking for the right fit in both. Someone who is knowledgeable and compassionate and takes a person seriously and has good rapport is important, especially for young people. I wish I had taken finding the right person more seriously instead of getting worse with people who weren’t helping. 8.Obtaining disability may be the key to independence! I thought my life would be sad as a “disabled person” but the extra money enabled me to move out of my parents’ house. I ended up being ready to work just six months later. I became a CPS and I discovered that one can still work while on disability. Getting disability escalated my recovery, instead of diminishing it, so beware of inner ableism. 9.There are people called Benefit Navigators whose job it is to info you on how to go back to work while on disability. They are fabulous people. Sally Atwell is the benefits navigator that serves the Atlanta area and is a great resource. There are a lot of myths out there about working and disability but don’t despair until you find out the facts! Her phone number is 404-350-7589. 11.Always remember that recovery is consumer driven. 12.Art and music and horticulture can be just important to recovery as medication or talk therapy. For some and not for others. It is never a cure. If a service is more focused on medication than the individual then it is not recovery oriented have found sleep to be the most important factor in my wellness. Healing begins with validation and feeling heard. and being heard and this is easiest supplied by someone who has already been there. experienced those same things but was doing well, my life would have been saved much earlier. I would have been given hope when the professionals were not providing it. This is why I am so excited to get training in the hearing voices network and to offer their support groups soon. 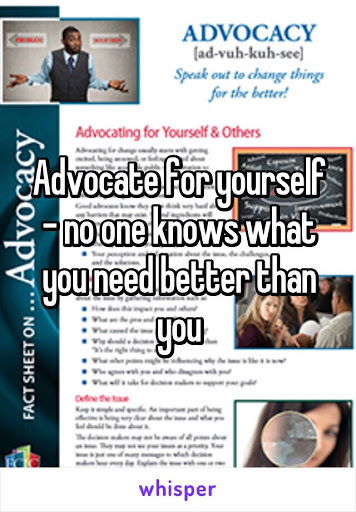 Advocate for yourself – no one knows what you need better than you. Secondly, if you believe you need clinical care, then spend time making sure you have the right fit. Feeling heard and validated by your mental health professional leads to trust and being able to trust others is essential to one’s well being. Finally, believe in yourself and in your loved one. 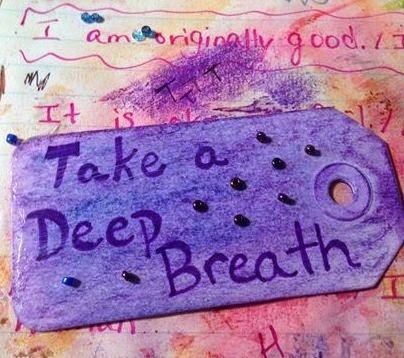 You are worth fighting for and you are worthy of being heard, validated and treated with respect. 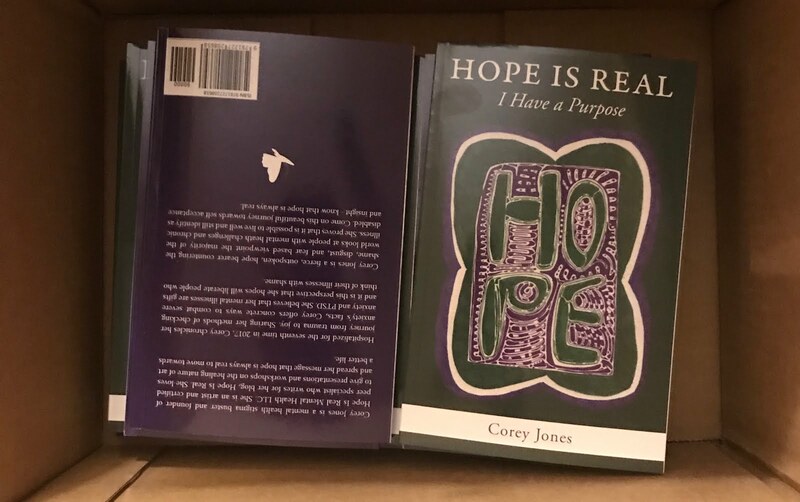 No matter what obstacles are in your way, I firmly believe that every person has the right and the ability to lead a better life for themselves if only they will put forth the work. I believe in you!